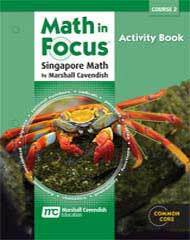 Math in Focus Course 2 Student Textbooks 2A and 2B are durable hardcover textbooks with full-color illustrations and graphics. It is the American version of the successful Singapore Approach. Student pages feature a well-placed layout. It is visually pleasing with adequate spacing and not overly busy. The Course 2A and 2B Teacher’s Editions are hardcover books. 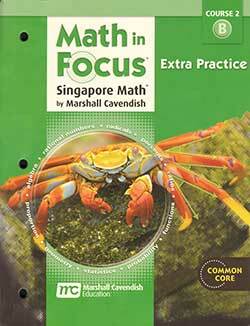 It is easy to see the student textbook pages—shown in full-color in a reduced size. Answers are overprinted in red on the student pages in the Teacher’s Editions. You will need Homeschool Kit 2A and Homeschool Kit 2B for one year—one for each semester. Solutions Key, Assessments, Activity Book, Extra Practice Books, and Reteach Books are available separately. The Math in Focus: Singapore Math Solutions Key Course 2 provides worked-out solutions to every Practice problem in the Math in Focus Course 2 Student Edition A & B. It includes answers to the following items in the student book 2 A & B. 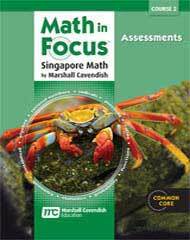 The Math in Focus Course 2 Assessment Book for grade 7 has a pretest and chapter test for each chapter in the Student Book. 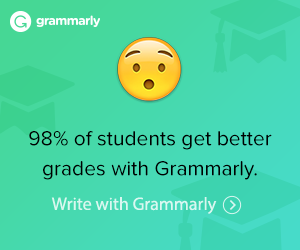 There are also two benchmark tests, a mid-term test, and an end-of-year test in each level. Find answers in the back of the book. 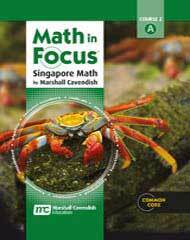 The Math in Focus: Singapore Math Activity Book Course 2 for grade 7 provides additional projects and activities. Provides either a paper and pencil activity or a technology activity to accompany a lesson. Each chapter contains a partner or small group project. Each one of the activities and projects includes a scoring rubric, recording sheets, and template for students. Reproducible for one teacher and his or her students only. 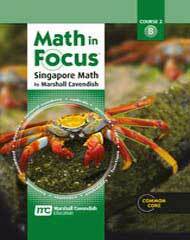 The Math in Focus: Singapore Math Extra Practice, Book A Course 2 for grade 7 correlates to the Workbook practices. 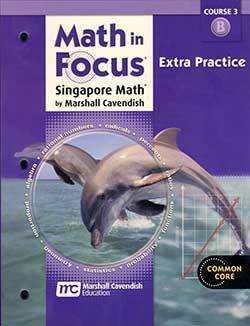 Practice and review sets complement the Practice problems in the Student book. These additional problems can be used for review, test practice, quizzes, and/or homework. Each lesson has an Extra Practice activity with opportunities for reinforcement and independent work as well as challenging non-routine problems to strengthen abstract reasoning skills. Provides Cumulative Practices that cover several chapters. Includes answers in the back of the book with some worked-out solutions. 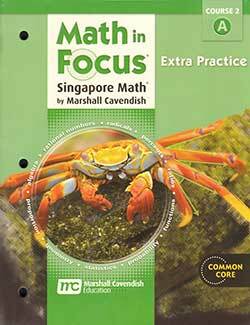 The Math in Focus: Singapore Math Extra Practice, Book B Course 2 for grade 7 correlates to the Workbook practices. 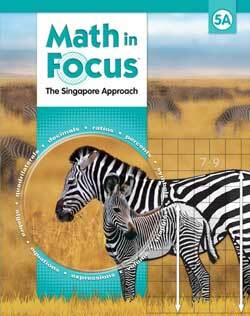 The Math in Focus: Singapore Math Reteach Book A Course 2 provides more exposure to concepts for students who need more time to master new skills or concepts. Additionally, the Teacher’s Edition provides tips for helping struggling students. 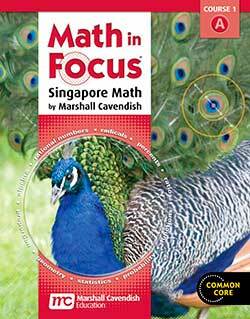 The Math in Focus: Singapore Math Reteach Book B Course 2 provides more exposure to concepts for students who need more time to master new skills or concepts. Additionally, the Teacher’s Edition provides tips for helping struggling students.